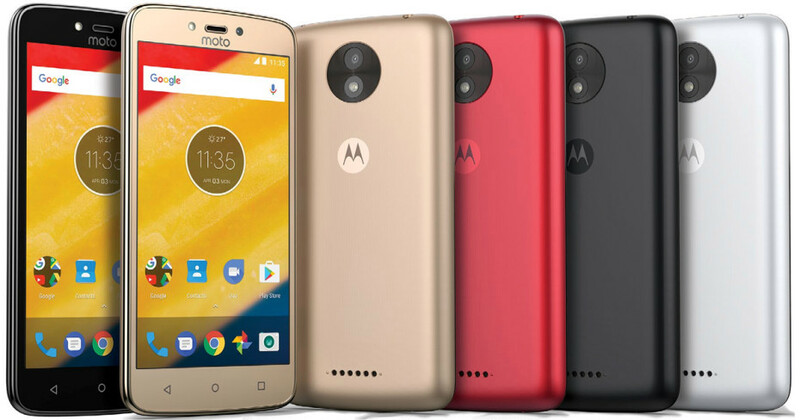 Lenovo recently launched the Moto G5 and Moto G5 Plus and it seems like Lenovo wants to focus on the budget segment, with leaks flowing in for the Moto C and Moto E series of smartphones. The latest leak (courtesy of Evan Blass aka evleaks) is for the Moto C and Moto C Plus smartphones, which are reportedly targeted at first-time smartphone buyers and are the brand's "most affordable handsets ever". These devices will be the first of their kind, but will be following in the footsteps of the Moto G and the Moto E budget devices. However, the Moto C lineup will be a bit different than other offerings. First, both the Moto C and Moto C Plus will feature 5-inch displays, with the base version coming with a resolution of 654 x 480, and the C Plus being bumped up to 1280 x 720. Additionally, both devices will be powered by MediaTek processors, although the Moto C will include a 32-bit processor, while the C Plus will see a 64-bit processor. Furthermore, the Moto C will include 1GB of RAM regardless of which configuration is purchased, and the C Plus will range from 1GB to 2GB, depending upon the configuration. Both devices will feature 16GB of storage, but the base model Moto C will have an 8GB option available in various regions. Finally, the last two big device specs revealed by Blass were regarding the camera and battery. The Moto C will include a 2,350mAh battery along with a 5MP rear-facing camera and a 2MP front-facing camera. The Moto C Plus will feature a 4,000mAh battery, along with the same selfie camera and an 8MP rear-facing camera. There is no price information yet, but Blass stated that they will be available in black, white, gold, and red.